Today, 10 October 2014, is the 20th anniversary of Odhikar. Odhikar was established by a group of young people who strongly believed in democracy, human rights and rule of law; who protested and fought against the autocratic regime of Lieutenant General Hussain Muhammad Ershad. Ershad was toppled by a mass movement in December 1990, mainly triggered by left leaning student organisations. In the 1990’s the people of Bangladesh believed that their dream of constituting a democratic state, based on equality, human dignity and social justice, would be realised. However, Bangladesh became trapped in dynastical, confrontational politics where human rights violations, impunity, nepotism and corruption persists; and where rule of law is constantly ignored. Odhikar was created as a continuous, persistent voice against human rights violations and impunity; as a body fighting for improving the criminal justice systems in Bangladesh and for proper and effective implementation of the law. It has become a strong voice in the campaigns to stop extrajudicial killings, torture and enforced disappearances within Bangladesh; and the violations perpetrated in the border areas by the Indian Border Security Force (BSF). It also carries out campaigns against hindrance of freedom of expression, assembly and of association; violence against all minority communities; and against violence perpetrated on women. For 20 years, Odhikar has highlighted the trends in political violence and criminalisation of politics; reported on the government’s interference with institutions which are supposed to be independent; and criticised repressive laws which violate people’s fundamental rights. Odhikar, as a member of the Asian Coalition for the International Criminal Court, also campaigned successfully to compel the then Government to ratify the Rome Statute of the International Criminal Court on March 23, 2010. Odhikar is the bane of every government that has ruled Bangladesh since its inception. It has borne the brunt of government hostility in an atmosphere where democracy and rule of law are yet to be established. For 20 years, the Organisation has been consistent in its campaign for upholding human rights and social justice in Bangladesh; and has earned the reputation as a steadfast watchdog of people’s rights and dignity. Odhikar’s core commitments are to uphold human rights and rule of law; and to ensure people’s rights against all kinds of discrimination. As a result of its vocal activism and persistence and its refusal to bow to negative government will, the conditions under which Odhikar is working today have become more challenging. During the military-backed ‘caretaker’ government in May 2007, Odhikar’s Director ASM Nasiruddin Elan was picked up and intimidated by personnel from Naval Intelligence for reporting on extrajudicial killings by Navy officers. These officers are still enjoying impunity. During the Bangladesh Nationalist Party (BNP) led government (2001-2006) Odhikar was stopped from monitoring the Chittagong City Corporation Elections; and programmes relating to its ‘Campaign for the Ratification of the Rome Statute’ were obstructed. Odhikar programmes are closely watched by law enforcement agencies, its phones are tapped and key personnel monitored. This has been going on for years. However, the present government (1) has taken hostilities to an extreme and drastic level. Odhikar’s Secretary Adilur Rahman Khan was under the radar of intelligence agency personnel since 2009. Surveillance on him gradually increased as Odhikar’s activities became more successful and the government more repressive. At 10:20 pm on August 10, 2013 Adilur Rahman Khan, who is also an Advocate of the Supreme Court of Bangladesh, was abducted by men claiming to be from the Detective Branch of police. They were not in uniform, showed no form of identification and had no warrant. Adilur was detained in jail in connection with a case filed under Section 57 of the Information and Communication Technology Act 2006 (amended 2009) and Sections 505 (c) and 505A of the Penal Code, for publishing a fact-finding report on allegations of extrajudicial killings during the operation carried out on May 5-6, 2013 by security forces, in the context of the gathering of Hefazate Islam activists in Dhaka. He was granted ad-interim bail in October 2013 by the High Court Division of Supreme Court of Bangladesh and was released from Kashimpur Jail-1 after spending 62 days in detention. Odhikar’s Director ASM Nasiruddin Elan was also charged with Adilur Rahman Khan; and the Cyber Crimes Tribunal Judge issued a warrant of arrest against him on September 11, 2013. Elan voluntarily surrendered before the Cyber Crimes Tribunal and his lawyers appeared before the Tribunal on November 6, 2013 and sought bail. The Judge, Shamsul Alam, rejected the bail plea and ordered that Elan be sent to jail. On 24 November 2013, the High Court Division ordered six-month ad interim bail to Nasiruddin Elan. He was released on December 1, 2013. Apart from abducting and detaining Adilur and Elan, the Detective Branch of Dhaka Metropolitan police raided Odhikar’s office and confiscated computers that contained important and sensitive documents of victims and their families. Till date, the authorities have not returned the computers. The government has virtually shut down Odhikar, using various forms of harassment, intimidation, including smear campaigns organised by the government affiliated media. Intelligence (NSI) and Directorate General of Forces Intelligence (DGFI). Their activities, movement and cell phones are being monitored all the time. The constant visibility of men from law enforcement agencies watching the Odhikar office is, under the present circumstances, tantamount to intimidation and is hindering regular organisational activities. Odhikar’s local level human rights defenders are also under surveillance. The harassment and intimidation faced by Odhikar does not only come from law enforcement agencies and the lower courts. It is a multi-pronged effort of the Government. The NGO Affairs Bureau (NGOAB), which is under the Prime Minister’s Office, has barred the release of funds for Odhikar’s projects, of which the Bureau had earlier approved. The Anti-Corruption Commission has suddenly become remarkably pro-active since August 2013 in checking Odhikar’s funding sources and financial reports; and harassing the Organisation for information they already have. monthly human rights monitoring reports on human rights abuses perpetrated in Bangladesh. 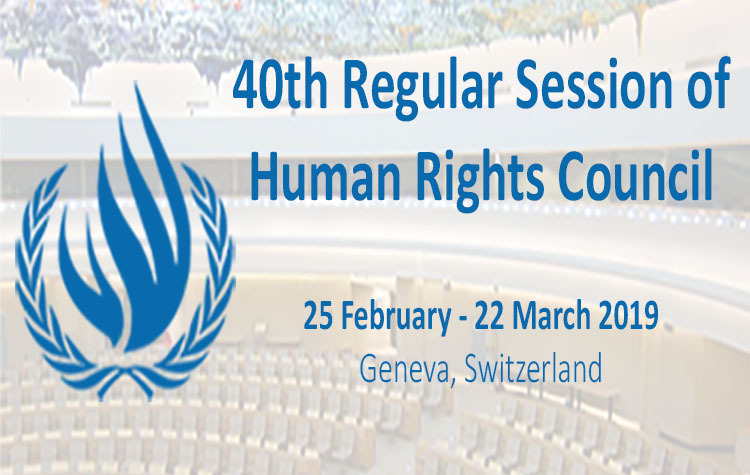 As a human rights organisation, it is Odhikar’s duty to highlight human rights violations, with no discrimination whatsoever; and take appropriate measures to prevent future violations. The Government is harassing Odhikar, most of the people associated with it and victims of human rights violations and their families; gagging their voices and hampering their activities. Odhikar, its staff and members would like to express heartfelt gratitude to all the human rights defenders, organisations, networks and funders that have stood by the Organisation for the last 20 years, that have expressed solidarity with it and that have vocally, actively and continuously campaigned against the persecution it faces. Odhikar will continue to fight against State repression and will continue its struggle until democratic rights and fundamental freedoms are fully ensured. Your strength and solidarity gives Odhikar the strength to continue its mission. 1 The Awami League-led Government came to power through landslide victory in the 9th Parliamentary Elections on December 29, 2008; and again on January 05, 2014 through controversial 10th Parliamentary Elections, boycotted by almost all opposition parties including Bangladesh Nationalist Party and its alliance. 153 candidates from the ruling Awami League and its alliance were elected uncontested out of the 300 constituencies, even before the elections were held. As a result, a total of 40,802,739 voters out of 91,948,861 voters could not cast their votes. Among the rest of the voters, only 12-15 percent could cast their votes on Election Day, as reported by various newspapers and election monitoring organisations. 2 Between September 2013 and September 2014, eight members of staff have left Odhikar due to security and financial reasons.